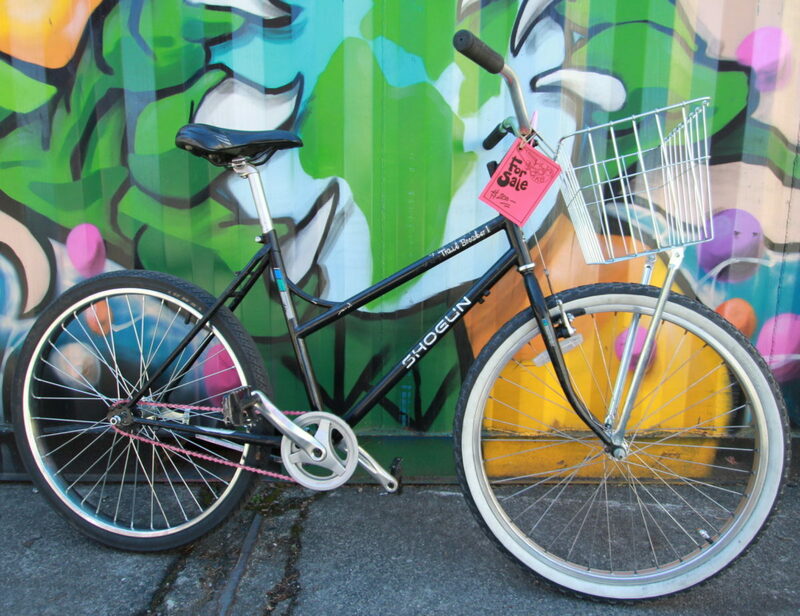 Single-speed, front brake with rear coaster brake, big front basket. Size medium, ideal for riders 5’4 to 5’9. Be part of Hub History: this Shogun frame is part of our early research and development of our new line of “Sunnyland Stomper” bar-hopper bikes!